Mississippi, 1955: fourteen-year-old Emmett Till was murdered by a white mob after making flirtatious remarks to a white woman, Carolyn Bryant. Till's attackers were never convicted, but his lynching became one of the most notorious hate crimes in American history. It launched protests across the country, helped the NAACP gain thousands of members, and inspired famous activists like Rosa Parks to stand up and fight for equal rights for the first time. 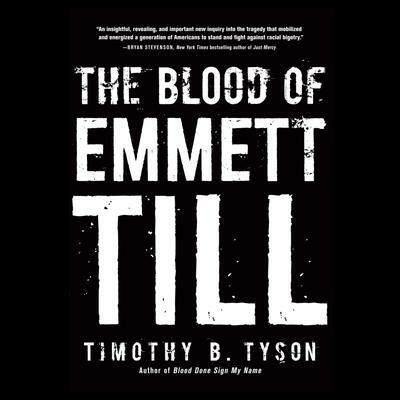 Part detective story, part political history, Tyson revises the history of the Till case, using a wide range of new sources, including the only interview ever given by Carolyn Bryant. In a time where discussions of race are once again coming to the fore, Tyson redefines this crucial moment in civil rights history.